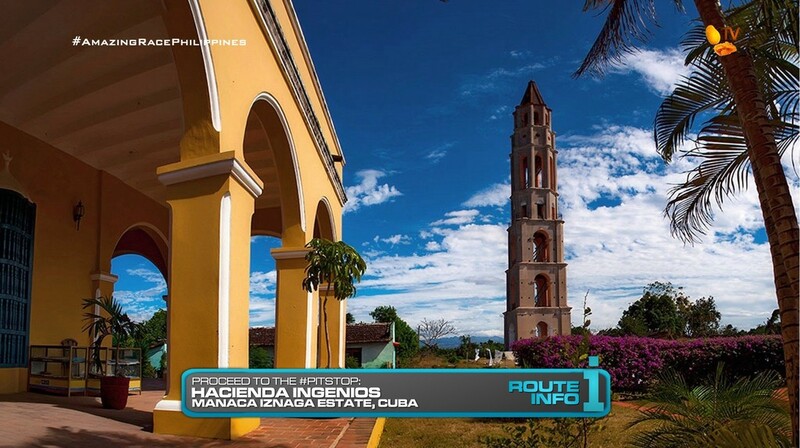 The 5th Leg of the Race continues immediately as teams must now find the sign-up board for one of two minibuses traveling to the town of Trinidad departing at 1am and 1:30am. Arriving the next morning, teams will be dropped off outside the town center and must make their way on foot to Plaza Mayor. Here, teams will find a Forced Double U-Turn!!! 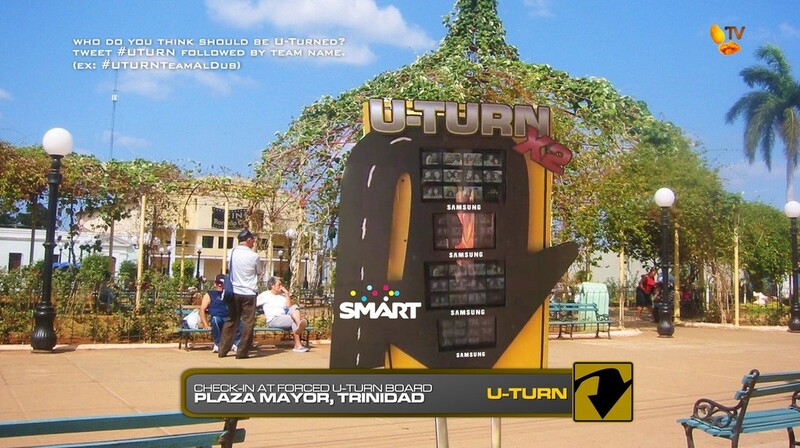 Teams MUST vote for two teams to be U-Turned. 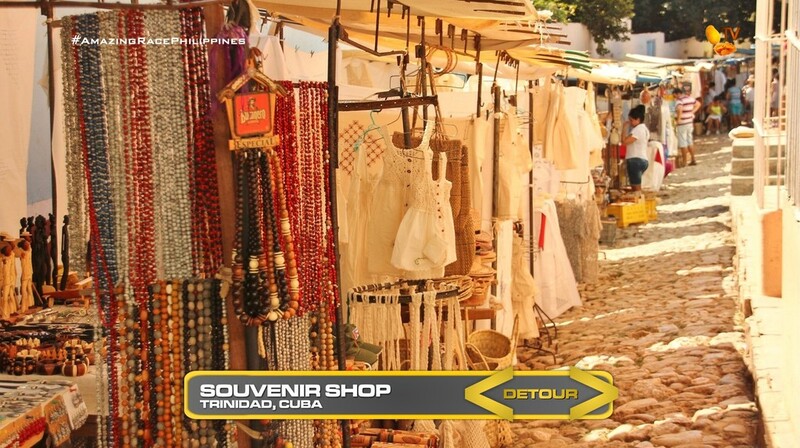 In Souvenir Shop, teams must help a local vendor by rolling their cart through the narrow cobblestone alleys and setting up shop for the day. Once the stall is ready with all the products properly set out for display, teams will receive the next clue. 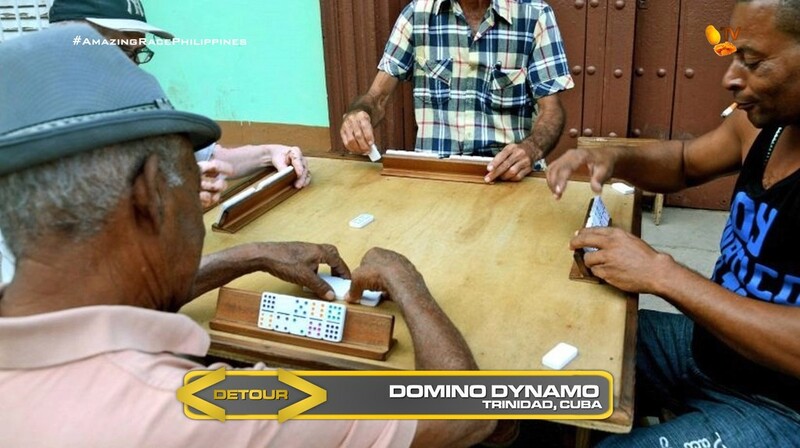 In Domino Dynamo, teams will play a game of dominoes, a favorite of the locals, against a group of old men who are sitting at tables nearby. Once they’ve won a game, they will receive their next clue. That next clue is a 25 centavo coin. 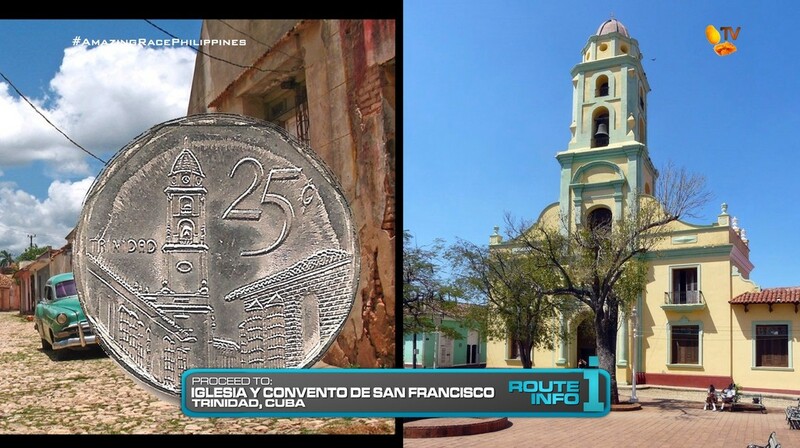 Teams need to figure out that they must go to the bell tower seen on the coin at Iglesia y Convento de San Francisco which is now Museo Nacional de la Lucha Contra Bandidos. This is where teams will find their next clue. BUT! 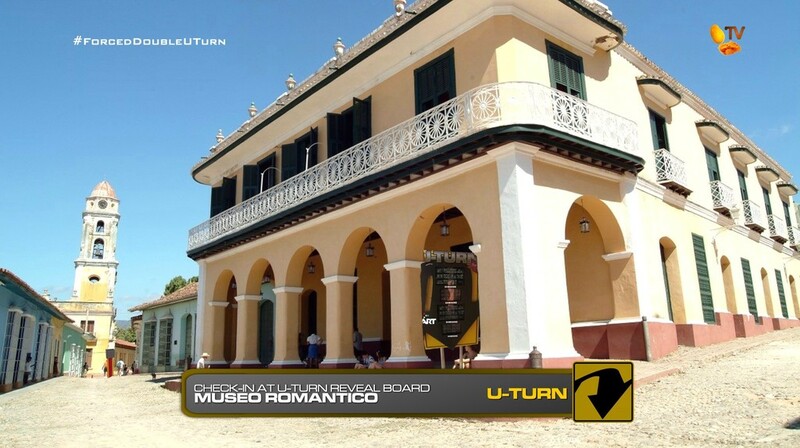 Teams must also check-in at the Forced Double U-Turn board at the Museo Romantic down the block. After checking in at the U-Turn, teams will open the clue revealing the Road Block: Who’s ready to lead? 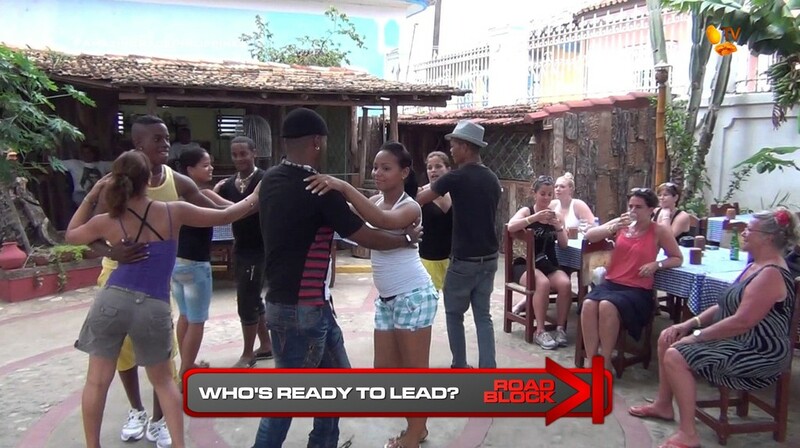 For this Road Block, teams must learn a salsa routine at Case de la Cultura where they, male or female, must lead their professional partner. 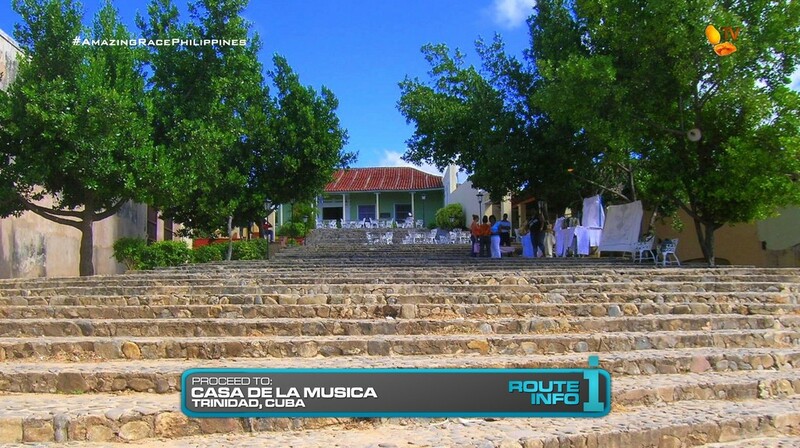 When they are ready to perform, they will make their way to the church steps below Casa de la Musica, the town’s most popular salsa venue, and perform. If their partner and the judge think they’ve got the steps down, they will receive their next clue. The first team to check-in here will win P200,00 courtesy of Shell V-Power Nitro+. Since we want teams to start this half of the Leg right in the morning, the easiest way is to just bus teams over to Trinidad. It’s also a simple equalizer which is of course necessary. 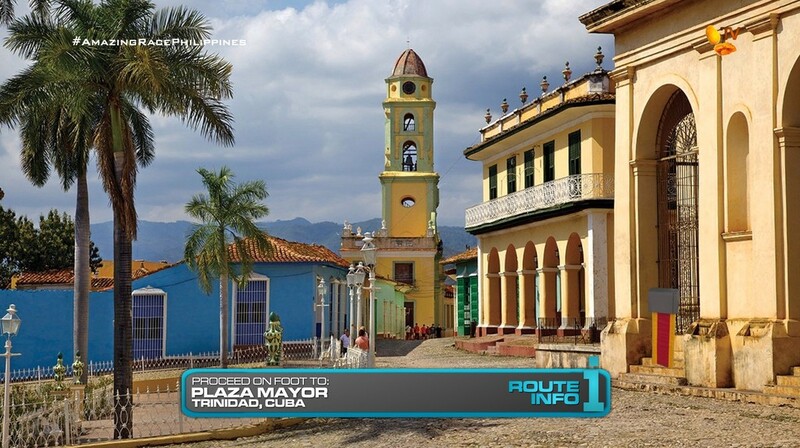 Most of the tasks this Leg will take place around Plaza Mayor. And no vehicles are allowed in the area at all (I think, I’m not sure. I’ve never been lol). So teams will be running around the area, hopefully crisscrossing each other. It should be very exciting. The Detour is great to allow teams to interact with the locals. It should be a balanced Detour. Who knows how long the dominoes could take. And rolling around carts on cobblestone streets could be fun like the TAR25 Morocco carts. 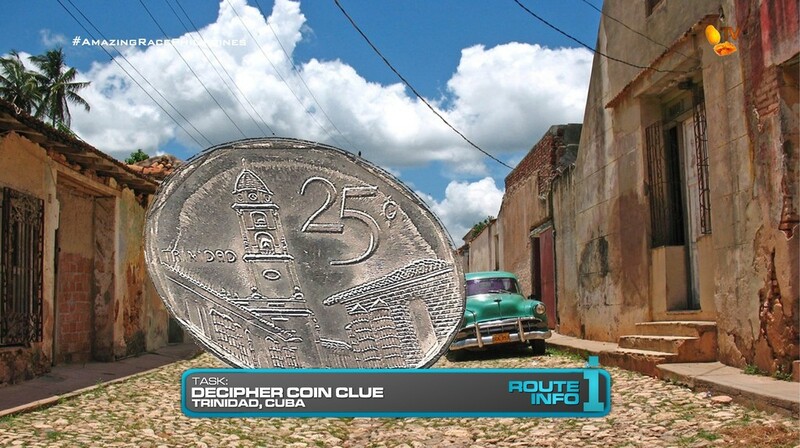 The coin clue is another nice way to get teams talking to locals. And with the compact Leg, it’s a good place for a Forced voting U-Turn. 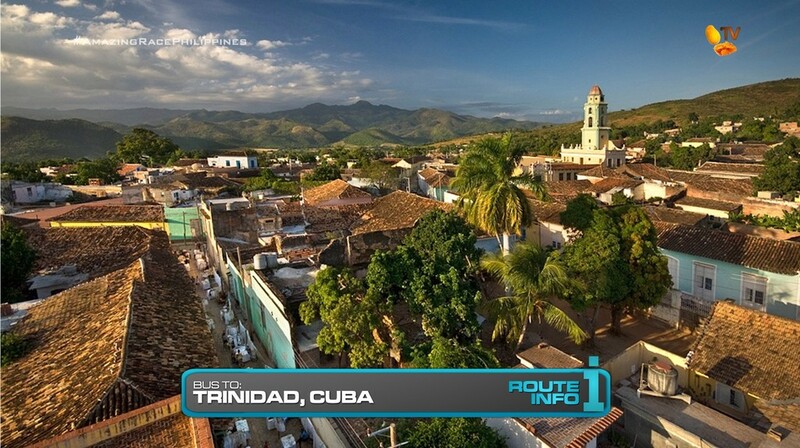 The Road Block is pretty straightforward, also inspired by Conan’s show in Cuba. 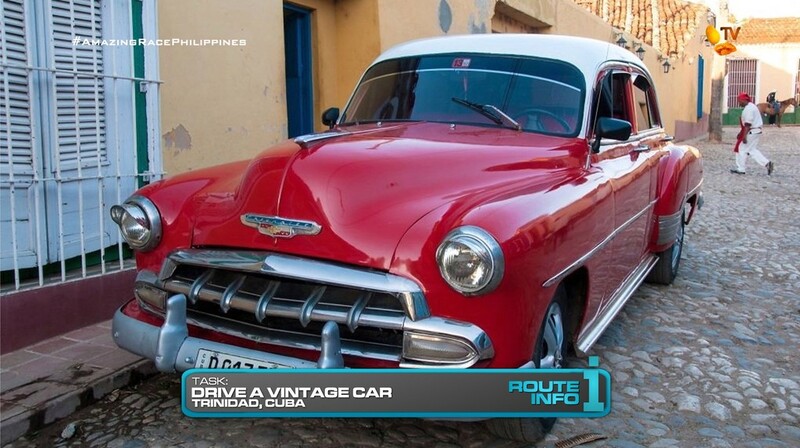 We can’t let teams leave Cuba without driving a vintage car! 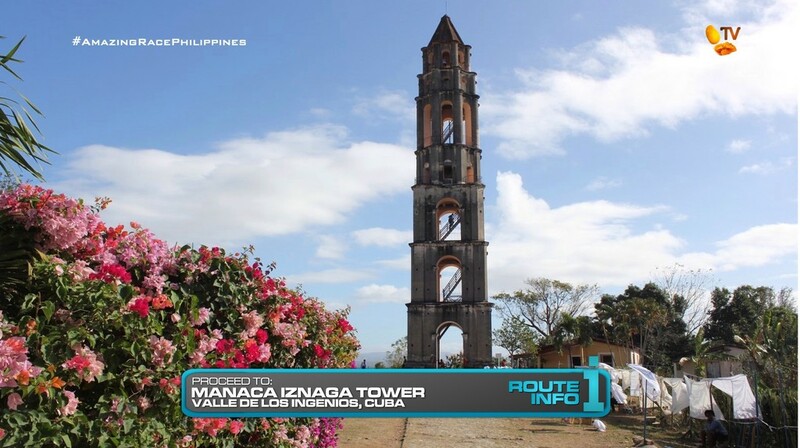 Plus, it helps get teams out of the town center and into the other main attraction in Trinidad, the sugarmill valley. 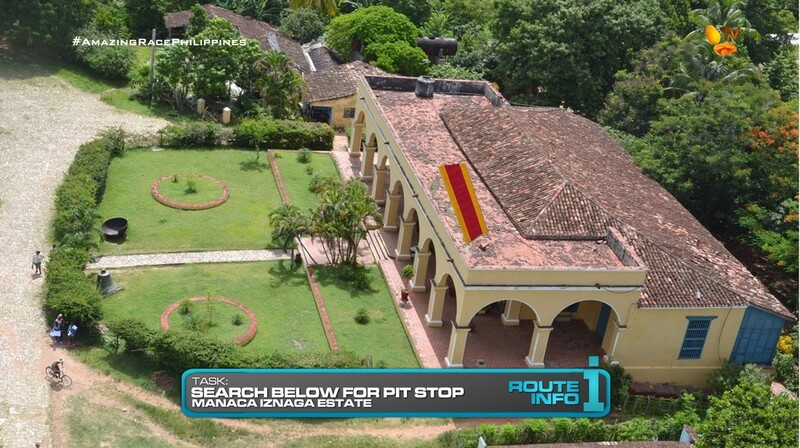 And the final task right before the Pit Stop should hopefully provide for some exciting end of episode drama. A solid half-Leg I think. ← Recap: Power Rangers Dino Charge, Episode 10 – "I can feel the charge of strength!"